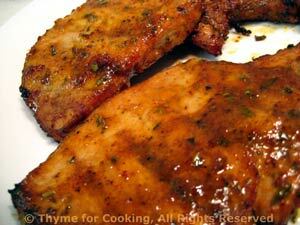 Barbecued Pork Chops, Thyme for Cooking gourmet recipes. These have a slightly spicy, barbecue marinade. 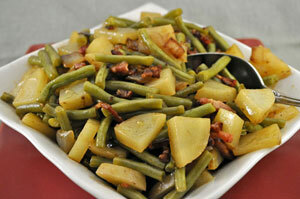 Serve with any leftover barbecue sauce from Sunday.